Living with a homestay family is the best way to immerse yourself in the language and culture of Berlin and many students who choose this option consider it to be the most rewarding aspect of their time abroad. It is the best way to learn German, gain an authentic insight into the culture and integrate into the local community. Each homestay is unique and individual - your host may be a single woman whose children have grown up and left home, a professional couple or a retired couple. Staying with a homestay means living as an adult with other adults, more like a shared apartment than living with your parents! You will have your own room and receive daily breakfast and dinner. Generally, there is one student per family allowing you to maximize your opportunities to practice your German. Apartments provided for the semester program in Berlin are newly renovated and provide single rooms in a shared apartment for two or three students. They feature a fully equipped kitchen and bathroom. Laundry can be done at no additional cost on site, bedding, linens, and a set of towels are provided. The apartments are centrally located and close to a subway station for a short commute to the campus. Grocery stores, pharmacies and other conveniences are all nearby, as well as many cafes and restaurants. All students receive a Mensa card which can be used in the subsidized University cafeterias at FU Berlin and at university cafeterias across Berlin. Apartment students will also receive a meal allowance to subsidize the cost of purchasing meals at the student cafeterias. Students also receive a Museum Pass which grants entrance to the collections of the State Museums Berlin. Volunteering is a great way to give back to the local community, learn new skills and build your confidence. More information on volunteer opportunities in Berlin will be available to you on-site. Moin Moin und Hallo! Welcome to Berlin. I studied history, art history and English in Berlin and Potsdam and worked as a tour guide in Potsdam which has been a good foundation for guiding students around Berlin and Germany. It is a privilege to accompany students on their experience while they broaden their horizons. I love the ever-changing way of Berlin, its vibrancy and the laid-back attitude. 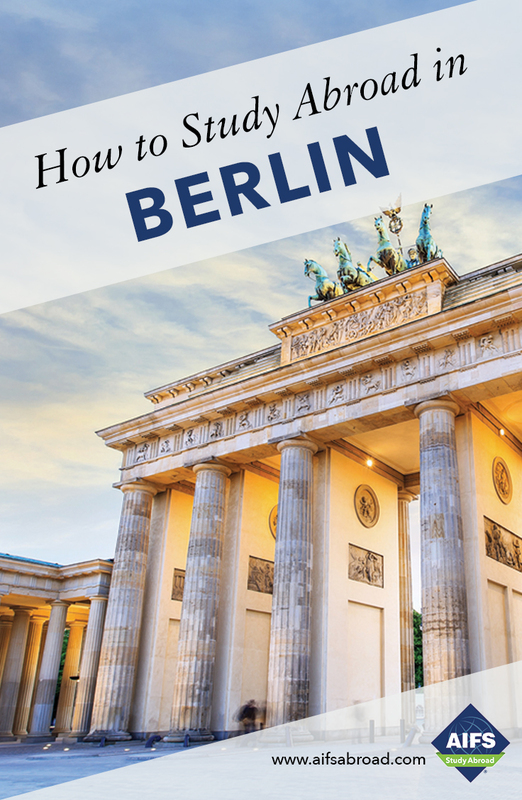 The city has something to offer everyone from museums to clubs or historical sites like the Berlin Wall. And not far away you&apos;ll find Potsdam and Dresden, with their palaces and gardens, former residences of Kings and Emperors.